While best known for its beer, Anheuser-Busch sells various non-beer items displaying the famed Budweiser logo including a dog bed and other pet products (food/water bowls, frisbees, balls, leashes, collars, and pet mats), but does not sell or license any type of dog squeeze toy. VIP sells high-end, high quality, durable dog toys under the brand names "Tuffy," "Mighty," and "Silly Squeakers." The Buttwiper toy is part of the Silly Squeakers's line of products and is packaged together with another beer bottled-shaped toy called Cataroma (designed to look like a “Corona” bottle). VIP also sells another set of beer-shaped dog toys named “O’Drools” (O'Doul's) and “HeinieSniff’n” (Heineken). Anheuser-Busch discovered VIP’s Buttwiper toy while doing an internet word search using the term "Budweiser Beer" on a Sears & Roebuck Company website in search for a new ice chest product with the "Budweiser" name. Anheuser-Busch hired a survey research firm to conduct a survey to determine if VIP’s Buttwiper was likely to cause confusion with Anheuser-Busch’s Budweiser. The results of the survey were that one in three people interviewed mistakenly believed that VIP’s Buttwiper was somehow affiliated with Anheuser-Busch. 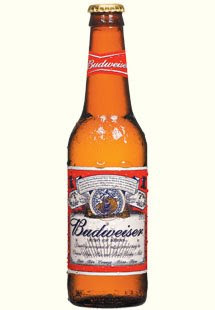 The parties stipulated that the "Budweiser" label is distinctive and was in use before VIP’s Buttwiper; moreover, the court found the label was clearly nonfunctional. The only likelihood of confusion factors at issue were degree of customer care and evidence of actual confusion. The court agreed that a $10 dog toy was no so high-end that customers would exercise a large degree of care. As for actual confusion, the court accepted the 30% confusion rate found by the survey, which the court found was conducted in a technically proper manner using relevant and non-confusing questions. Under the circumstances, VIP turned to “parody” as a factor for the court to consider in the likelihood of confusion analysis. VIP cited last year’s “Chewy Vuitton” decision in Louis Vuitton Malletier S.A. v. Haute Diggity Dog, LLC, 507 F.3d 252, 263 (4th Cir. 2007) as well as the New York district court’s decision in Tommy Hilfiger Licensing, Inc. v. Nature Labs, LLC, 221 F. Supp.2d 410 (S.D.N.Y. 2002). However, the court was able to distinguish both of these cases from the instant case. With respect to the Louis Vuitton case, that case was different because “there was no evidence that Louis Vuitton sold dog toys with its brand; there was no evidence by Louis Vuitton of any survey or of confusion; and there was an appreciable difference in the cost of any Louis Vuitton product and the dog toy at issue.” In the instant case, Anheuser-Busch presented evidence that it does sell pet-related items using its brand, evidence of confusion in the form of the survey, and evidence that the items sold are similar in cost. As for the Tommy Hilfiger case involving a defendant who invoked parody in a case involving a dog perfume sold under the name “Timmy Holedigger,” the court noted that in that case, the parties products did not compete nor was there any evidence of confusion (survey or otherwise). Once the court found that Anheuser-Busch had at least a “fair chance” of prevailing on the issue of likelihood of confusion, the court proceeded quickly to find a presumption of irreparable harm, that the balancing of the harm favored Anheuser-Busch’s longtime mark, and that the protection from confusion was in the public interest – and granted Anheuser-Busch’s motion for preliminary injunction.